Earlier this year, half a dozen breweries were invited to brew a beer with water from Daylesford & Hepburn Mineral Springs for an event at Ladro TAP. 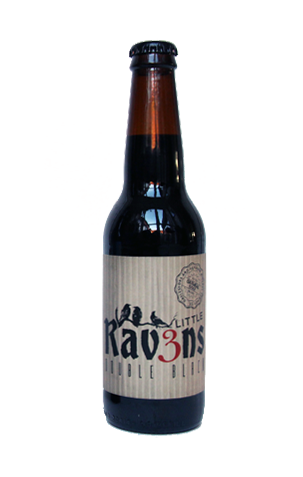 Among them was 3 Ravens, with the Thornbury brewery opting to use Hepburn Springs Sparkling Mineral Water, the attraction being its high calcium content: ideal for brewing "something big and black" with the alkalinity providing an effective buffer against the acidity of very dark roasted and crystallised malts. Given they have an oatmeal stout in their range, the Black, they decided to create a double version, piling in twice as much grain as they would for a standard brew. The brewers tell us that "the bicarbonate content [of the sparkling water] also contributes to flavour and mouthfeel – with a distinct smoothness and chalky flavour, which is complimentary to the rich, silky texture contributed by the rolled and crystallised oats". Furthermore, the sodium "enhances the sweet malt flavours while the magnesium accentuates roast malt acidity." So what does in mean in 8 percent ABV beer form? The aroma is dominated by roast coffee, backed by a touch of tar and dark fruit, with flavours such as sweet, dark chocolate and treacle coming to play too within a full, viscous and smooth body. One to savour.